HARARE – As Zimbabwe dips into disarray due to dollar shortage and other national challenges, the country plans to introduce a new currency in the next 12 months. The country has been largely using the US dollar. According to Reuters this was revealed by the country’s finance minister recently. The southern African nation abandoned its own hyperinflation-wrecked currency in 2009 at the height of an economic recession, adopting the dollar and other currencies including sterling and the South African rand. 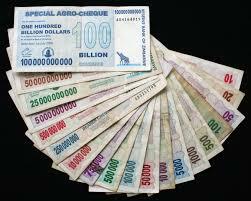 Mthuli Ncube told a meeting late on Friday that a new local currency would be introduced in less than 12 months. Locals are haunted by memories of the Zimbabwean dollar, which became worthless as hyperinflation spiralled to reach 500 billion per cent in 2008, the highest rate in the world for a country not at war, wiping out pensions and savings. A surrogate bond note currency introduced in 2016 to stem dollar shortages has also collapsed in value. President Emmerson Mnangagwa is under pressure to revive the economy but, in something of a vicious circle, the dollar shortages are undermining efforts to win back foreign investors sidelined under his predecessor Robert Mugabe. With less than $400 million in actual cash in Zimbabwe according to central bank figures, there are fuel shortages and companies are struggling to import raw materials and equipment, forcing them to buy greenback notes on the black market at a premium of up to 370 per cent.